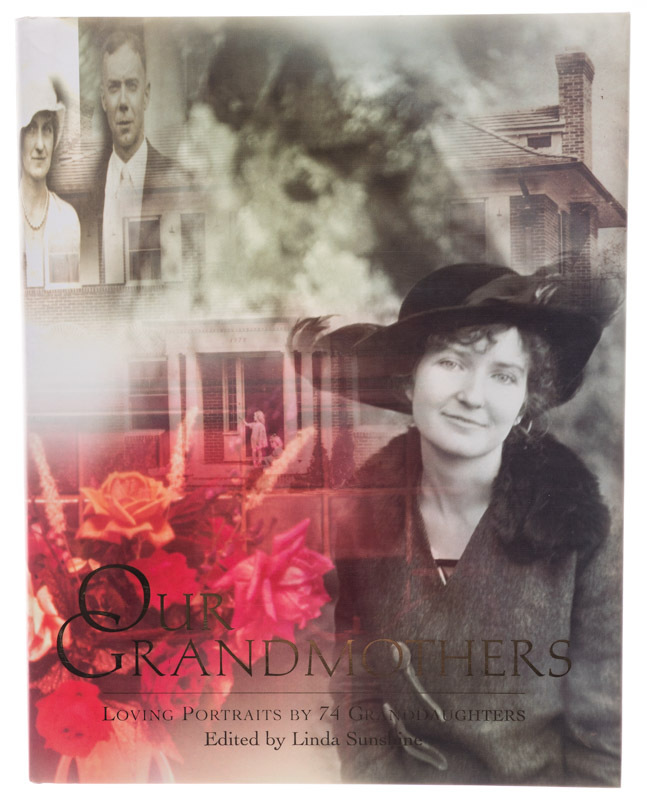 In 1997 I was invited to write about and submit a photograph of my grandmother for the book, Our Grandmothers, which was an anthology of the grandmother photos and memoirs by 74 granddaughters who are photographers. Amazingly, my photo was chosen by jury for the cover, and the jury included such heavyweights as Kathy Ryan, Photo Editor of the New York Times Magazine; Michelle Stevenson, Photo Editor of Time; and Michele McNally, Photo Editor of Fortune. I was in great company, some of the other photographers were Sylvia Plachy of the Village Voice, Margaretta Mitchell, author of Recollections: Ten Women of Photography (1979) and long time ASMP leader; Helen Marcus, President of ASMP at the time I joined and she sponsored me; Deborah Willis, photographer, author, curator and scholar; and Annie Leibovitz, who is so cool, she didn’t even have to write anything. 22 years ago, I wrote down my impressions of my grandmother and her amazing house that was full of stuff, but now I can see her legacy, through my mother, to my daughter. I marvel at my new discoveries of my sweet, strong Mennonite-rooted grandmother. 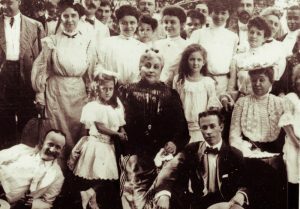 Helen Moyer Pinkerton was descended from Mennonites in Germany who were persecuted and fled to Switzerland, finally settling in Bucks County, Pennsylvania in 1742. 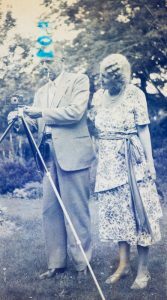 Her father, Joseph W. Moyer, the fifth generation of the American Moyer lineage, moved to Washington DC, where he worked in real estate. Her mother was also from a fifth generation American Mennonite family, originally from Palatinate. My grandmother comes from a 100% Mennonite background, the first generation born of a family that broke away from their Mennonite community. Wow, I just realized that. 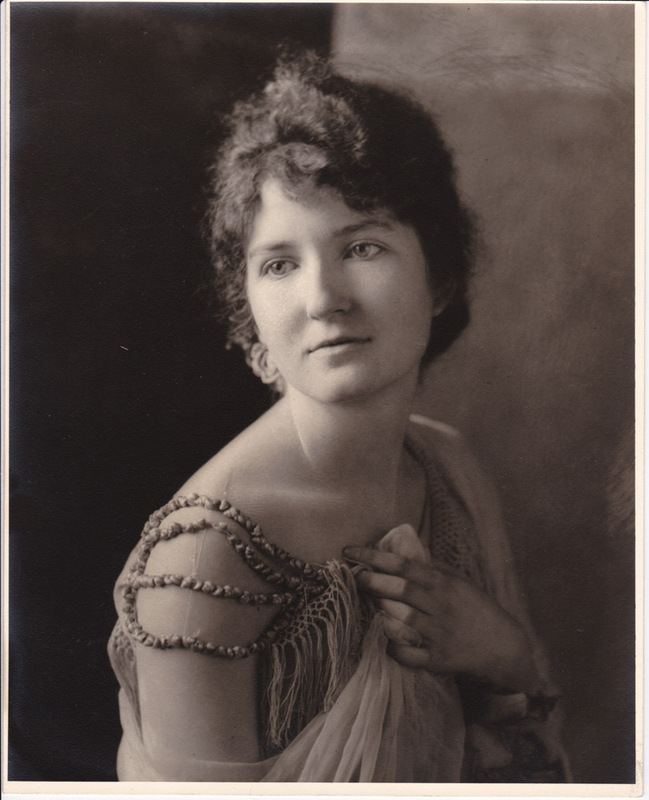 Helen was worldly, born in Washington, DC in 1892. She had two sisters. They had an older brother who was accidentally shot in a hunting accident at the age of 14 on the banks of the Potomac. 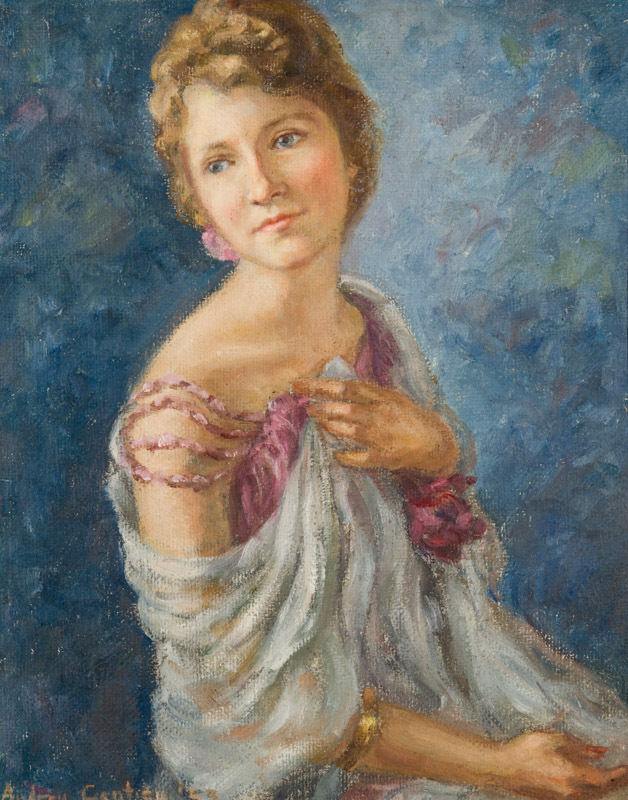 Helen graduated from Pratt Institute in Brooklyn, New York with a degree in fashion design some time before 1918, when she met Sherwood Mortley Pinkerton Jr., who was in the Army, passing through Washington DC. 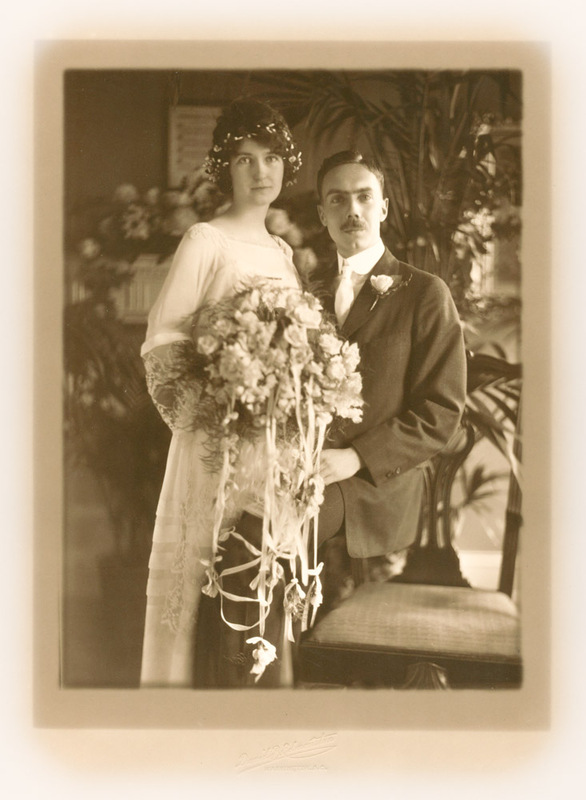 “When I saw her in 1918, my inner voice said, she’s the one,” my grandfather would tell us. They were married on June 10, 1919, in Washington, DC. They settled down in Toledo, Ohio, where Sherwood took his place in the family business founded by his grandfather, John W. – the Pinkerton Tobacco Company. 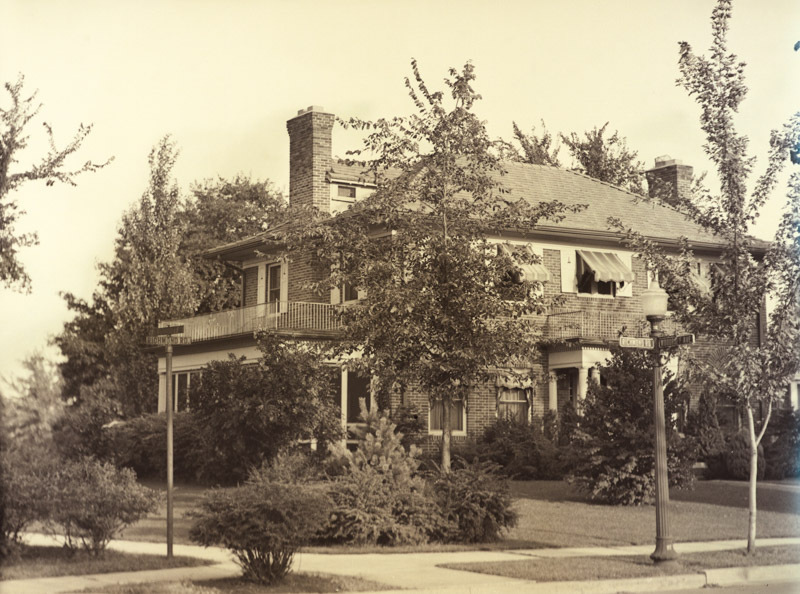 The company began in Zanesville and moved to Toledo in 1911, having built a factory right on Swayne Field, behind the ballpark that opened in 1909. 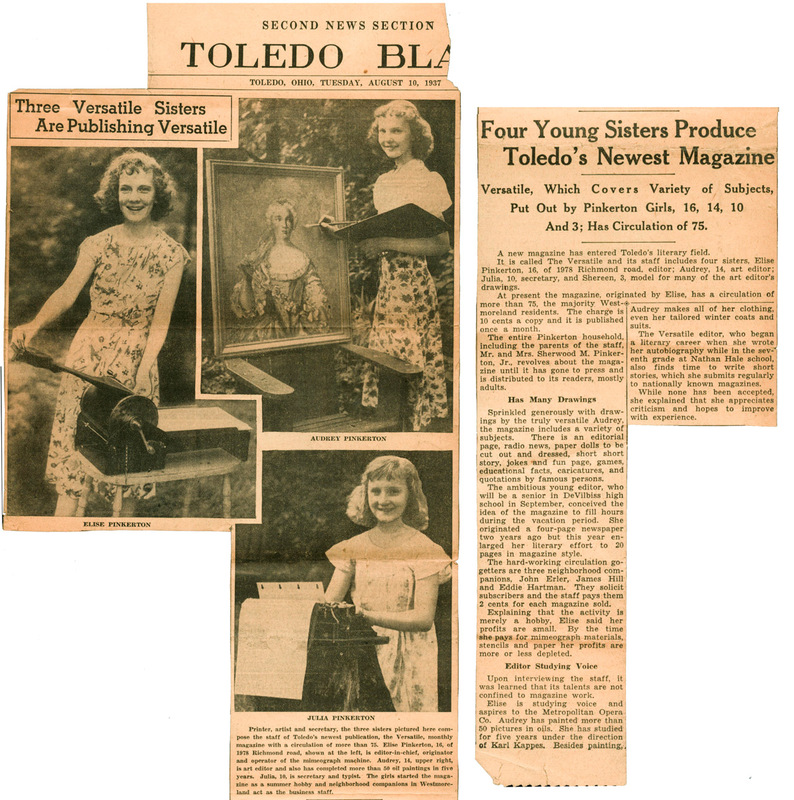 Helen gave up a fashion design career in New York, but she made up for it in her four creative daughters. 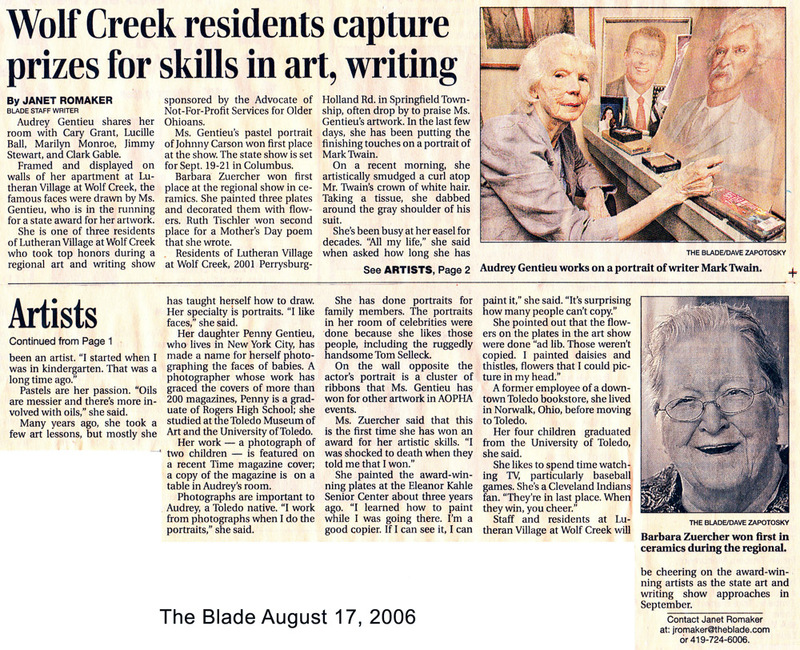 My mother, Audrey Moyer Pinkerton, was the second born, in 1922, and a child prodigy. She painted her entire life. 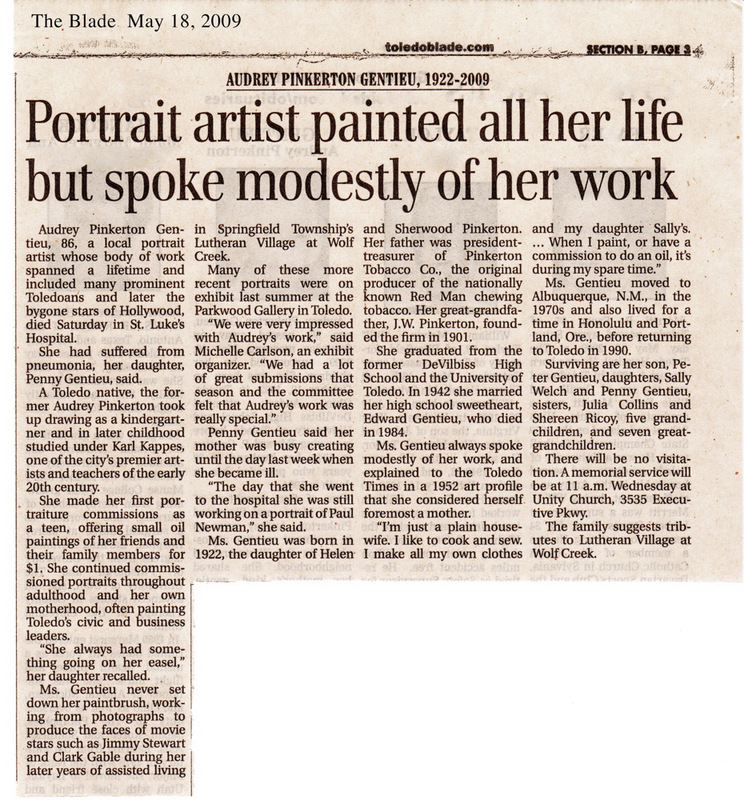 This newspaper article even mentions that she had had continuous lessons with Karl Kappes starting at age nine! And there she is in the photo, painting a large canvas, no doubt carrying out a Karl Kappes painting assignment to copy a Thomas Gainsborough, or something. 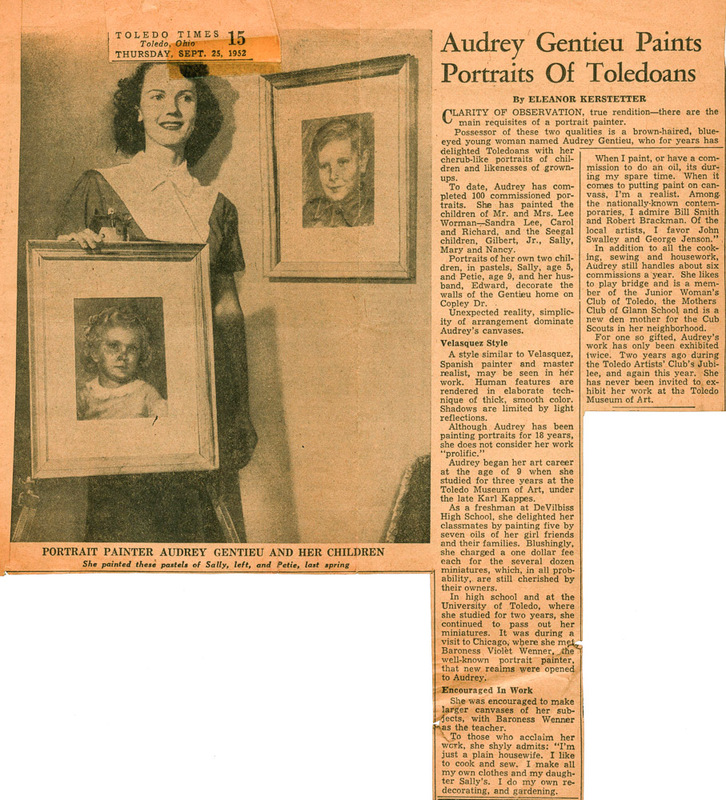 In 1953, probably when my mother was pregnant with me, she painted a portrait of her aunt and namesake, Audrey (which I was named as well.) 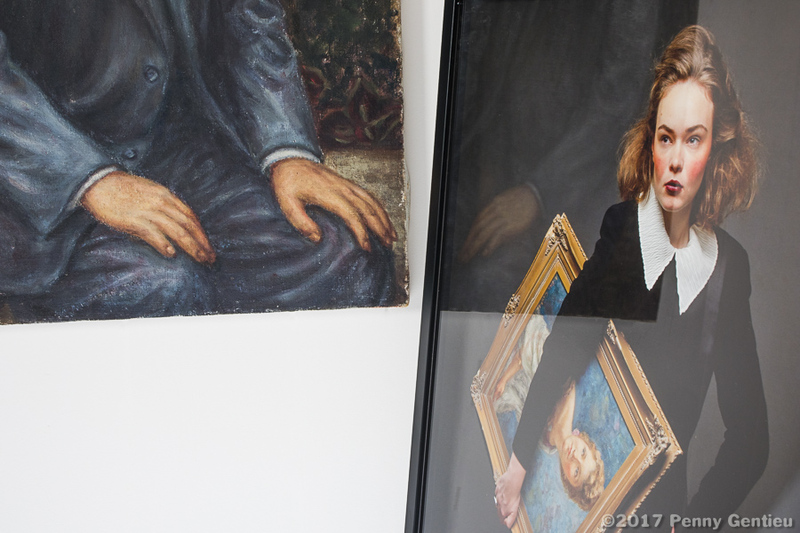 The painting was an amalgamation of two photos – source material that I recently recognized – a photograph of my grandmother, ca. 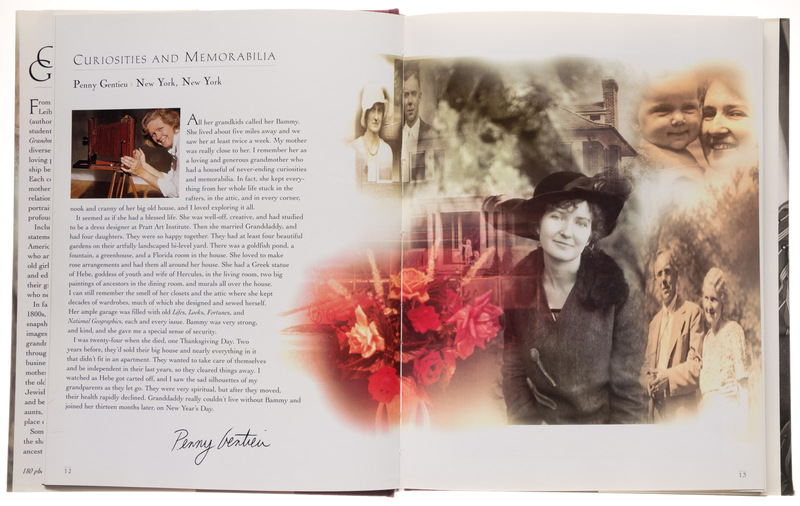 1918, and a photograph of the two sisters, whereas my mother used the body of her mother in the first photo and the face of Audrey in the second photo, to create a romantic portrait of her mother’s beloved late sister, a flapper who was married to the “Jazz Minister.” My mother gave the painting to her mother, whereupon it hung in their Westmoreland dining room, across from the Anna Hale Buckingham ancestor painting. 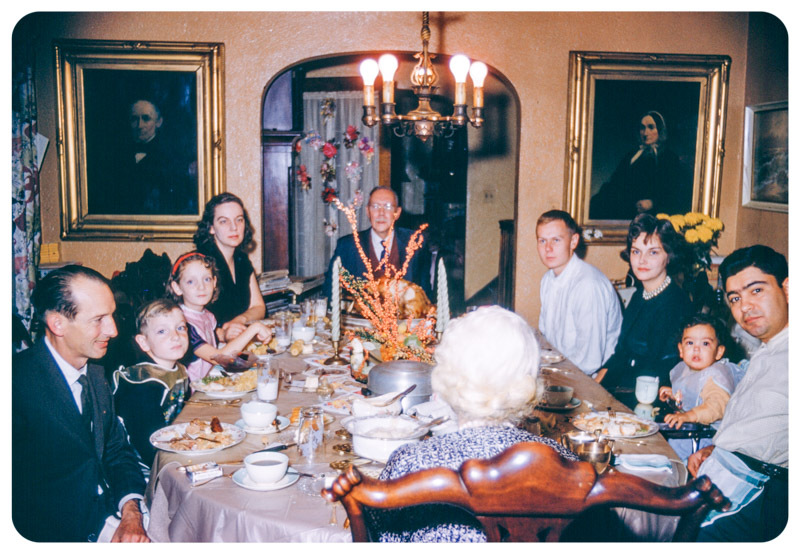 Thanksgiving, 1961 at the Pinkertons. 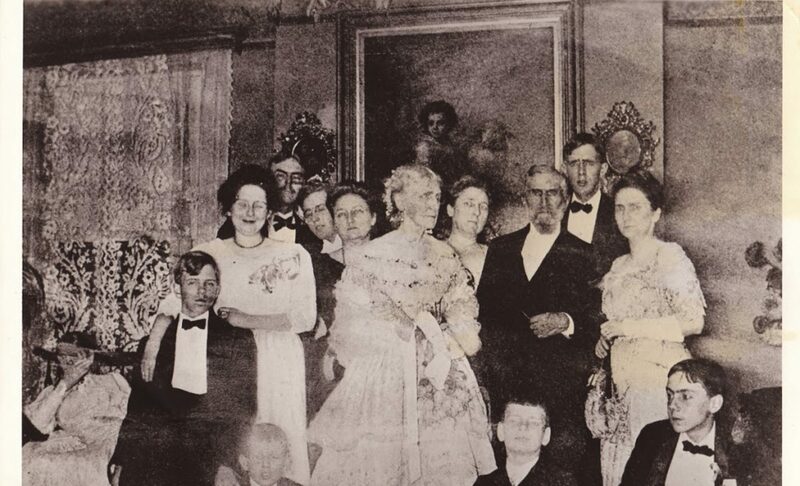 Paintings on the wall are of Sherwood’s great grandparents, Alvah Buckingham and Anna Hale Buckingham. 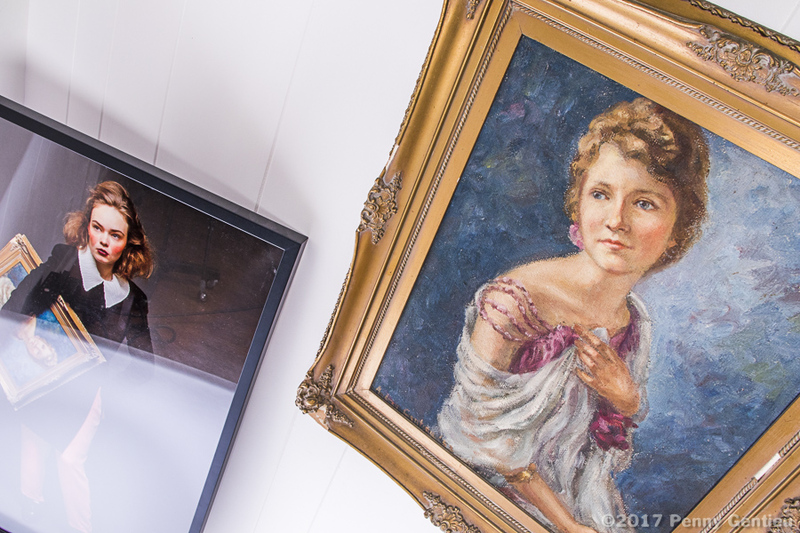 Painting of Audrey hanging on the dining room wall opposite the ancestor painting of Anna Hale Buckingham. December 1958. My sister, my two cousins, and me. 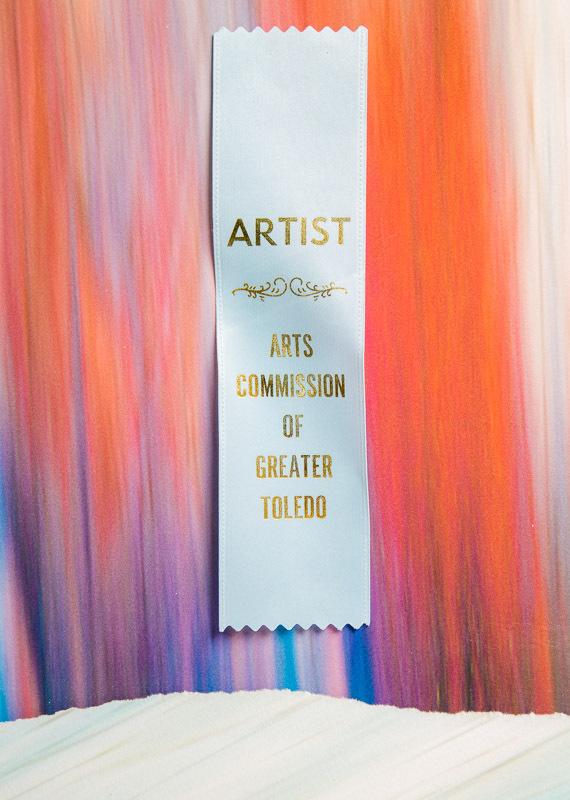 Anna won a prize for this photo in the Toledo Museum of Art’s annual 94th Toledo Area Artists’ Exhibition, in 2013. 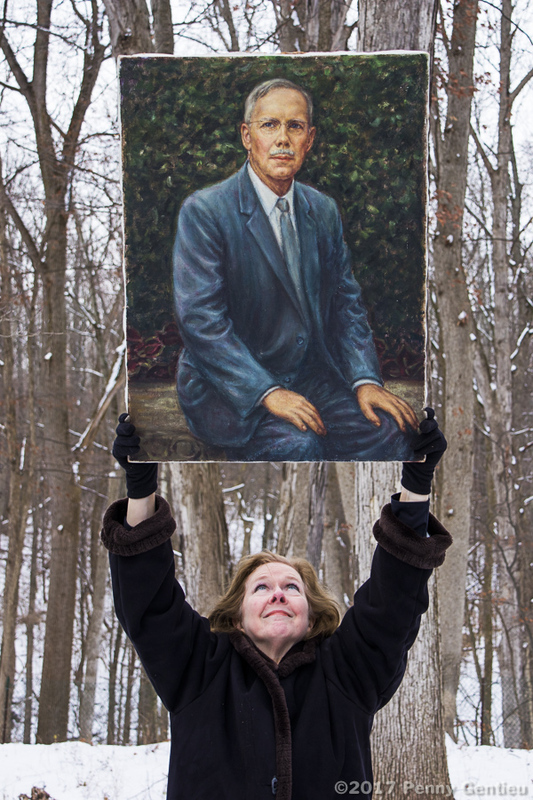 The photo was featured in The Blade and it inspired a solo show at the Paula Brown Gallery in Toledo. Anna sold editioned prints of the photo, and other photos, as well the entire set of 10 Commandments photographs. It was right after college, and she earned enough money to lease a pre-war apartment in New York. The 10 Commandments series was published as the 10th Matte Magazine. 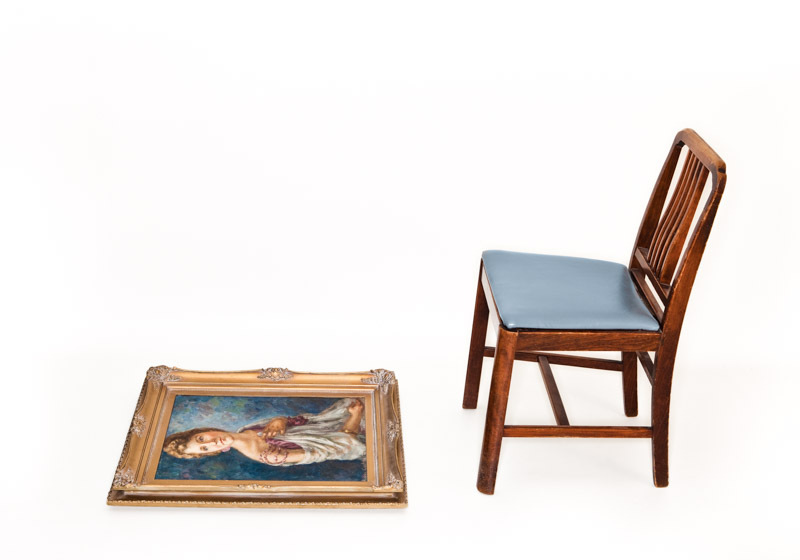 The Museum of Modern Art’s periodicals curator bought it for the museum’s collection of millennium magazines. The series was also published online in 10 countries and in the Korean print magazine, Blink. The 10 Commandments were exhibited in Anna’s first New York solo show, in 2016. 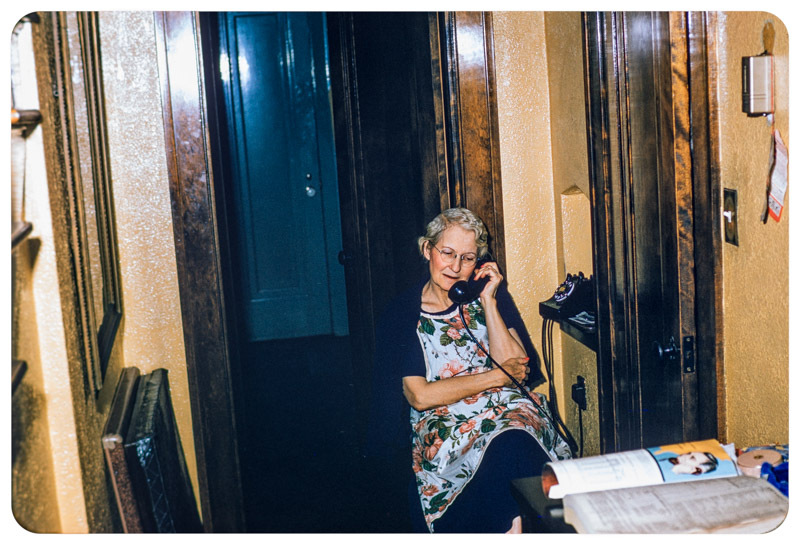 My grandmother talked on the phone with my mother for hours a day. This was her phone booth, in the hallway by the staircase of their house, around the corner from the kitchen. 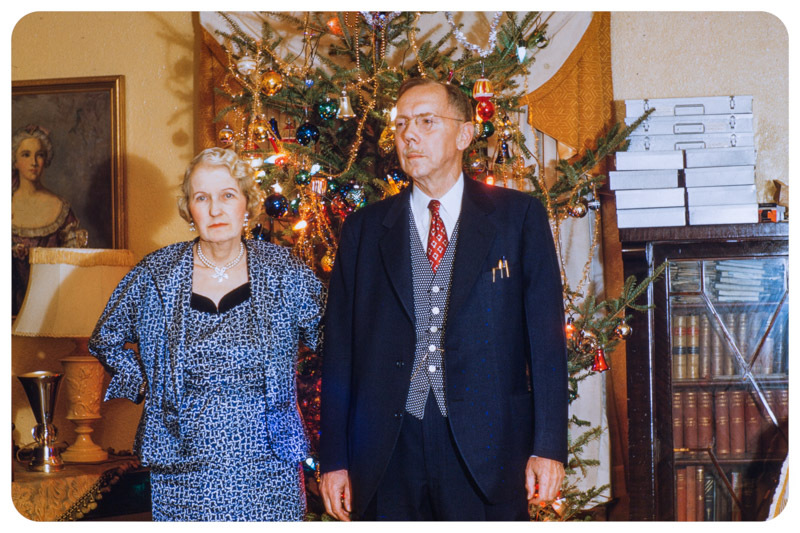 My grandparents in their living room at Christmas. To the left is the painting made by my mother at age 14, which you can see her actually painting in the above newspaper clipping from 1937. On the right are 11 cases of my grandfather’s Kodachromes, that were fortunately given to me when they moved out of their house in 1977, and from which this very picture originated – maybe from that middle box on the left. 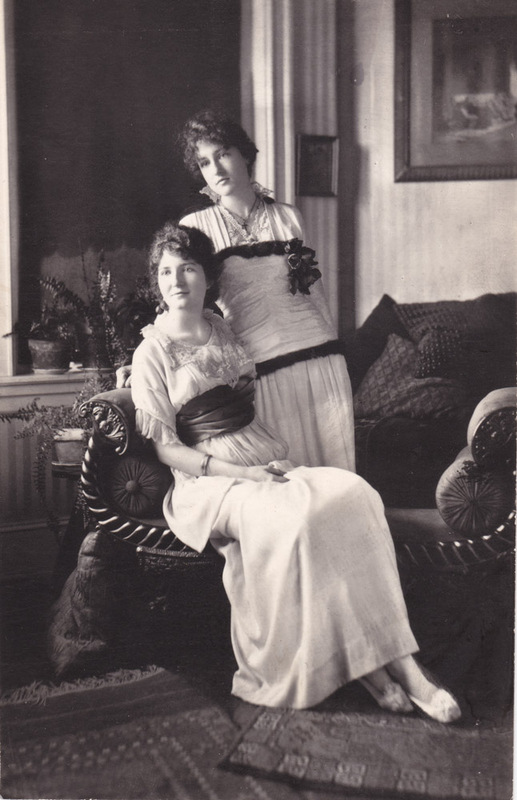 My grandmother posing with Agda, her Swedish maid. 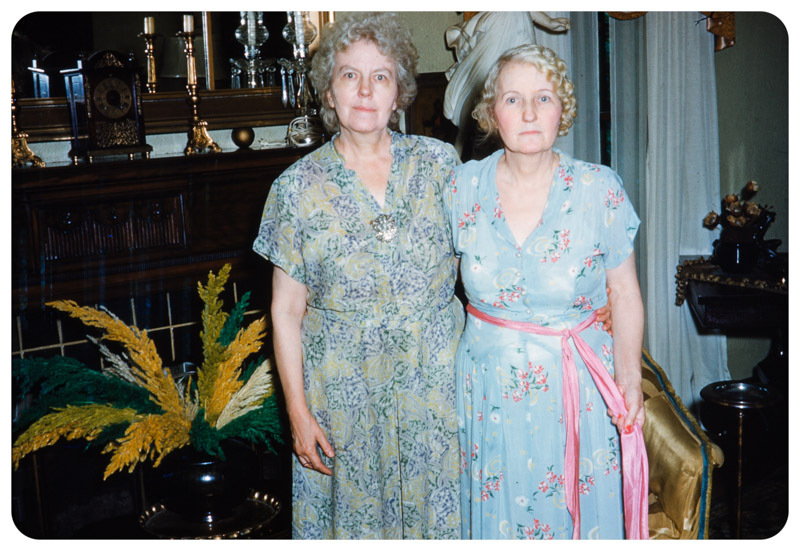 The two appear to have a very strong bond between them, as they both look so intentionally defiant in the photo, and my grandmother is holding her sash. 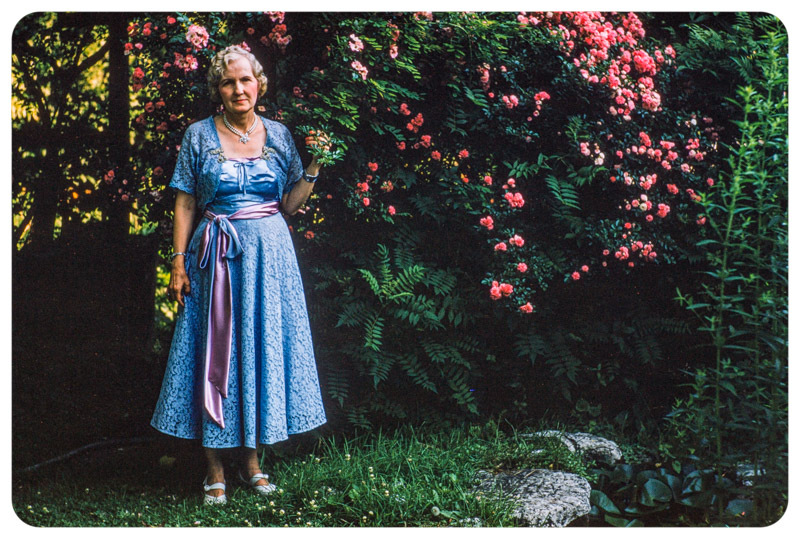 My grandmother posing in their garden in a dress that she made. In fact, she probably made all of her clothes. She was 100% Mennonite, new-agey, sophisticated and educated with a fine art degree in clothing design. With my grandfather, who was an avid photographer and gardener in his retirement. 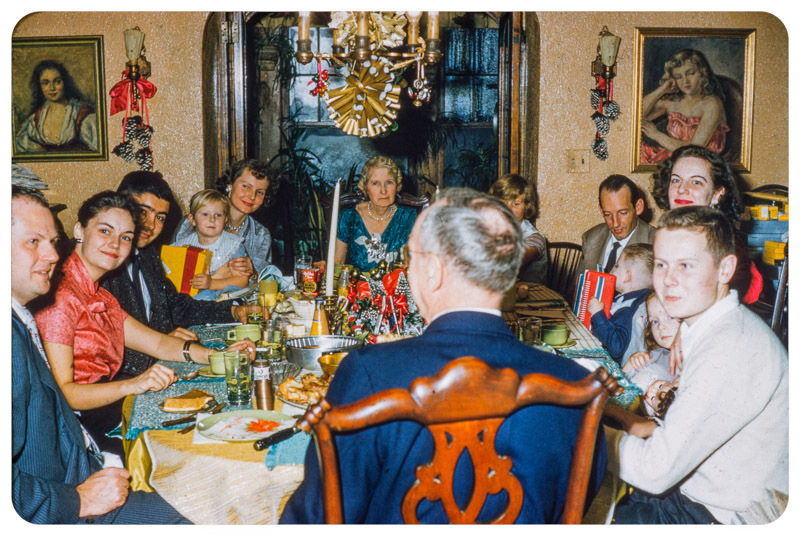 Looks like Christmas 1957, one year before the painting on the left was replaced by the painting of Audrey. 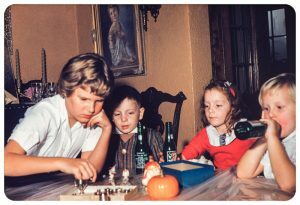 My dad is sitting on the left, my brother on the right, and I am sitting in my mother’s lap playing the accordion. The Pinkerton home on the corner of Richmond Rd and Woodruff in the Westmoreland neighborhood of Toledo, a Georgian Colonial Revival house that my grandparents built in 1927 and lived in for fifty years. My grandmother died in 1978 at age 86 on Thanksgiving, and my grandfather followed her on January 1, 1980, also at age 86. (My mother too was 86 when she died, in 2009.) When we moved back to Toledo in December of 2008, there happened to be a Westmoreland house tour, and their house was featured. My brother and sister and I got to see the inside of the house again, but there was a big something missing. It seemed so small, without them in it. 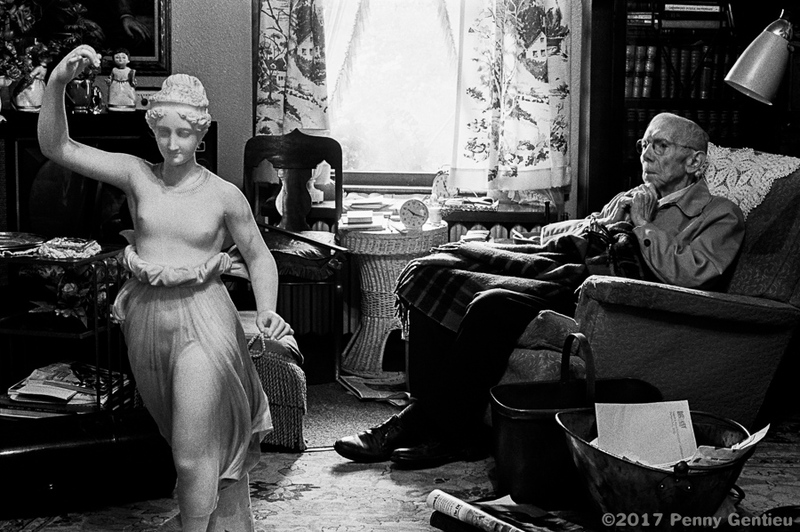 I was 22 and still in college when I photographed my grandfather in his lazy boy chair, reflecting on the statue of Hebe, goddess of beauty and youth, as it had been dislodged from its wall space in their Westmoreland living room, a family heirloom ready for movers to pack up and ship to Oregon, to my aunt. My grandparents were moving out of their home of 50 years to a modern apartment, where they would live out their lives for a couple more years. Fiberglass patterned curtains, clocks with different times, Hummel figurines on the TV, a bin of magazines by the lazy boy chair accented the old house’s patina. 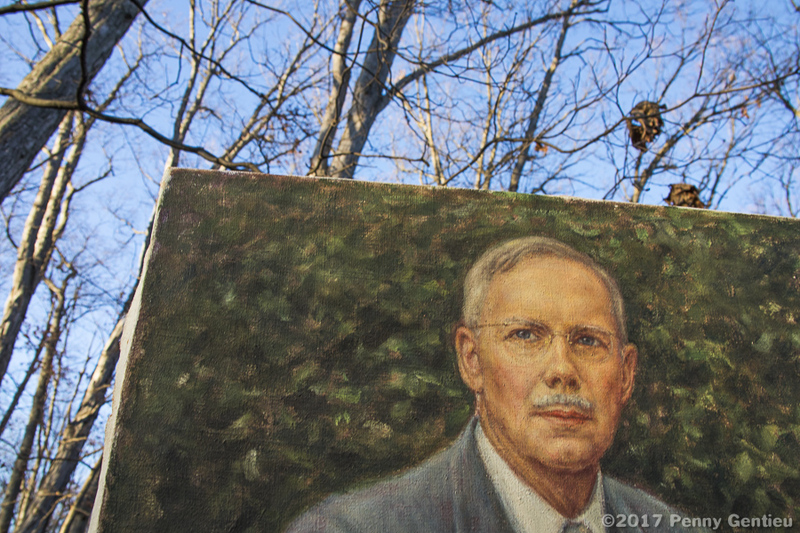 In the background, above the Hummel figurine, hung my mother’s oil portrait of my grandfather sitting in his rose garden. 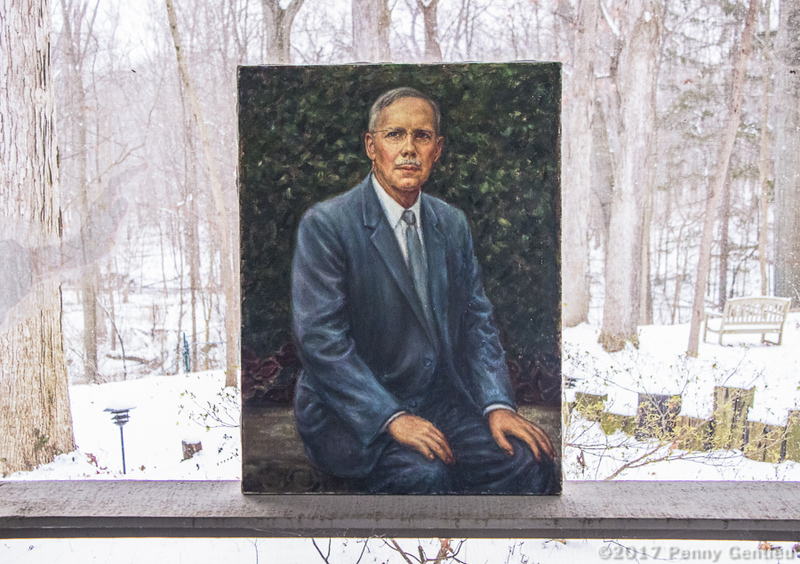 I’m close to the same age as my grandfather was then, when my mother painted his portrait. I’m getting up there! AOPHA stands for Association of Ohio Philanthropic Homes for the Aged. Every year they sponsored a state-wide art show. These are my mother’s ribbons for awards she won for artwork she made during her last years, when she lived in a nursing home. My mother always won First Place ribbons for the Regional contest, and always placed either First, Second, Third or Fourth in the State contest. It wasn’t a professional art show and it certainly wasn’t her high point as an artist. But the sense of community and purpose really made her happy and kept her busy at the nursing home, where she lived out her last six years. It was a reciprocal relationship by which the community and the individual benefited from each other equally. 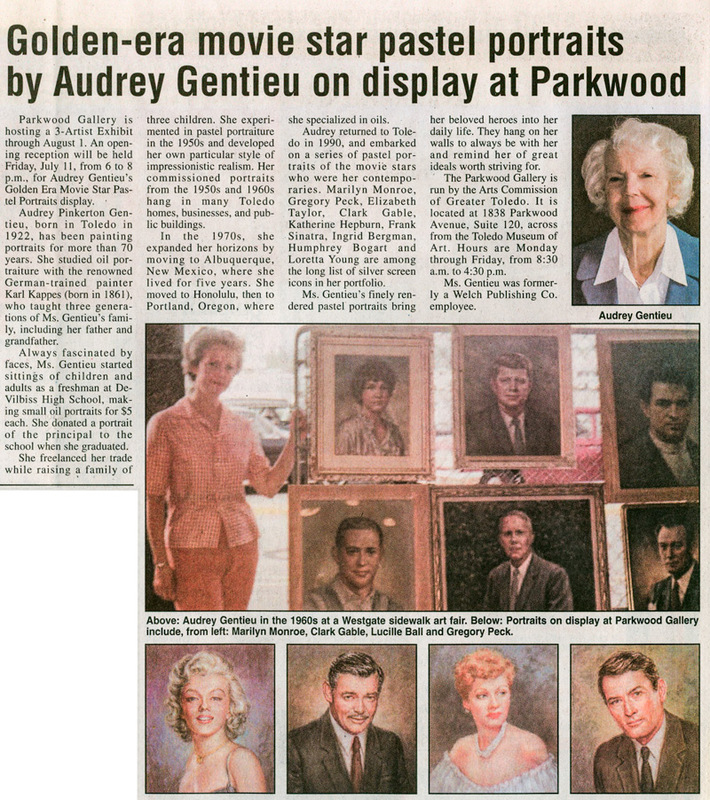 In 2008, ten months before she died, she had a show of her golden-era movie star portraits at the Arts Commission of Greater Toledo’s Parkwood Gallery. The newspapers wrote about the show. It was pretty great. People came to the opening who she worked with fifty years earlier, like the owner of the Deluxe Frame Shop where she had the portraits framed that she made for private and public commissions back in the 50’s and 60’s. My mother left Toledo in 1973, to live in Albuquerque, Honolulu, and Portland, Oregon, returning to Toledo in 1990.